The Medmenham Collection covers the history of military aerial photographic interpretation (PI) and imagery analysis (IA) from its beginnings, through World Wars One and Two, up to the present day. 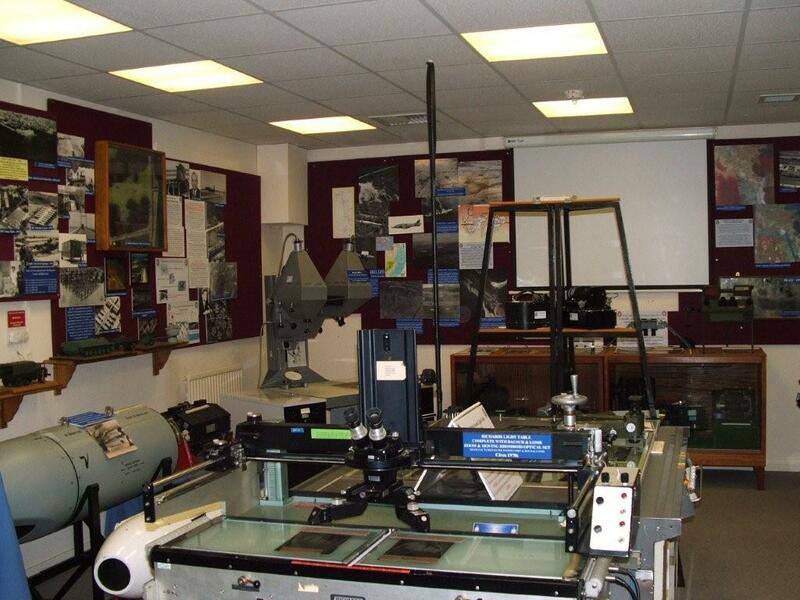 The Collection display is located at the Defence Intelligence and Security Centre (DISC), Chicksands, just south of Bedford and the Archive is located at Wyton, just east of Huntingdon; both owe their existence to the enthusiasm of Medmenham Association members. The Collection forms a significant part of the displays within the Military Intelligence Museum, plus elements of the Muckleburgh Collection, near Cromer and the Imperial War Museum at Duxford,; together, they graphically illustrate the art of photographic interpretation (PI) from the Boer wars to the current day. Behind the scenes, the Collection is very active in expanding its archive and continues to accept a wide range of new material covering the development and application of photographic interpretation and imagery analysis. Always a joint service skill, the participants have typically been experienced and talented people taken from all three services. The Intelligence Officer assigned to the World War One (WWI) squadron (left) to analyse the photographs taken by the airborne plate camera, became the photographic interpreter (PI) of World War Two (WWII). PIs played a significant roll in every major operation, from identifying the threat of a German invasion in 1941 to the preparations for D-Day in 1944 and the discovery of the German V weapons. After WWII, reconnaissance and the analysis of the resulting imagery became a standard method of obtaining detailed intelligence on the real or potential enemy in every conflict from Palestine and Suez, to the more recent operations in Iraq and Afghanistan.